A famous tourist site at an elevation of 1829m above sea level, Ranikhet is ornamented with nature's enviable beauty. 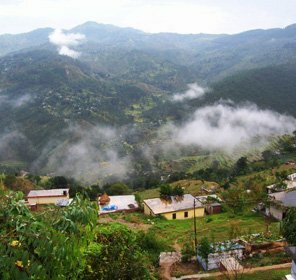 It is a serene and beautiful hill station built up by British and is situated in Almora district in the state of Uttaranchal. It seems god has showered all the exquisiteness in Ranikhet. 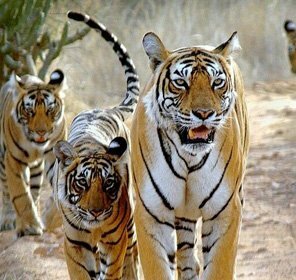 Ancient shrines, spectacular undulating hilly terrains, verdant greenery and imposing Himalayan regions make it the most popular hill station in Uttaranchal. Literally signifies Queen's meadow, the place has a beautiful tale through which it got its name. A lovely Indian queen visited here and mesmerized by the exquisiteness of this town. The place allures the tourists to this place every year to render with the memorable experience of natural essence and exquisiteness. Waking up to the noise of birds, the sweet-smelling fragrance of flora, salubrious climate and many more appeals of this make it an idyllic place for the tourists. 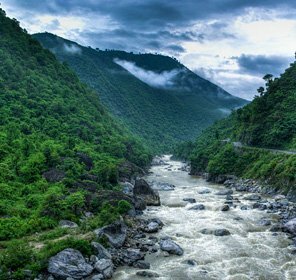 A famous attraction in proximity to Ranikhet, Bhalu Dam is gifted with emerald beauty, Himalayan Mountains, enchanting peace and beautiful surroundings that attract the attention of the travelers on their holidays in Ranikhet. Positioned in tranquil ambience, just 2 miles from the town, Haidakhan Temple is deemed to have been constructed by Shri Haidakhan Maharaj, personification of Lord Shiva. Founded by famous Indian Army Regiment of Kumaon, Mankameshwar temple is a very significant shrine located in Pittoragarh in immediacy to Ranikhet town. The site has a pleasant environment all through the year. A very old 8th century shrine nestled in a tranquil and serene ambience in proximity to Ranikhet, Jhula Devi Temple is one of the main attractions of Ranikhet and is paid a visit by many devotees from wide and far. Enveloped by lush green forests, Upat is positioned on Almora Road in Ranikhet. 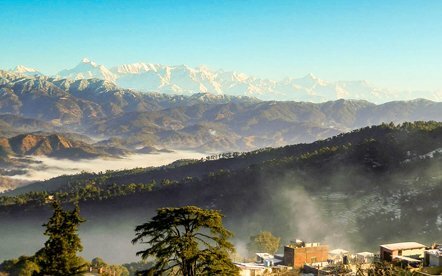 It tenders perfect sight of the Himalayan ranges and snow covered mountains making it an idyllic site for the tourists on their tour to Ranikhet. A small town situated near the imposing hill station of Ranikhet, Kalika is enclosed by dense forests and the place itself is amazing. One can visit Kalika shrine addressed to Goddess kali to offer prayers. Perched at a distance of 10km from Ranikhet, Chaubatia consists of over 200 sorts of fruits and flowers. There is a research laboratory positioned within its location. The travelers can also have a glimpse of the Mother Nature. There is quite a great range of accommodations in Ranikhet for business travelers and pleasure travelers. One will get an opportunity to stay amid the verdant greenery and emerald exquisiteness. Along with this, visitors can relish swish facilities and impeccable service at the famous hotels and resorts of Ranikhet. 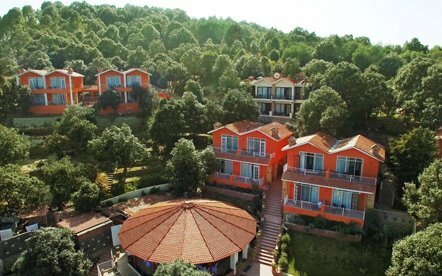 Some of the known hotels are Annabella Resort, Cosmos Himalyan Villas, Meghdoot, Ranikhet Club and Xanadu Retreat. Feburary to November is the perfect time to travel a plan on visiting this beautiful town.Ranikhet has a pleasant weather all through the year. Summers have a temperature varying from 8°C to 22°C, while the place experiences a temperature of 3°C to 7°C during the winter months. The nearest airport to arrive at Ranikhet is Pantnagar, just 119 km away. It is connected to Delhi by day by day flights. International airport of Delhi is situated at a distance of 350 km from Ranikhet. Taxi service is also available from the airport at a reasonable price and it takes 9.5 hours to make it to Ranikhet. The closest airport to make it to Ranikhet is Kathgodam Railway Station, which is located 80 km away. Taxis and buses are also available from railhead to Ranikhet. 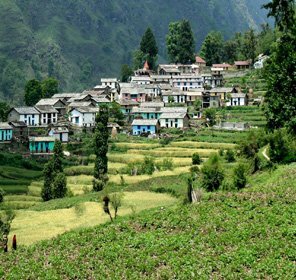 Ranikhet is well connected to the major cities of India like Bareily, Haldwani, Delhi, Nanital, Almora and many others by a good network of roads. Moreover, state owned bus services are also available from cities situated around Ranikhet.